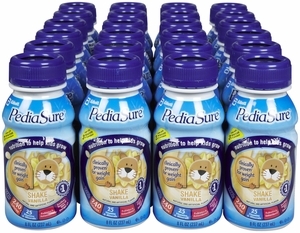 Abbott PediaSure Shake is a source of Complete, Balanced Nutrition that is especially designed for the oral feedingof children 2 to 13 years of age. 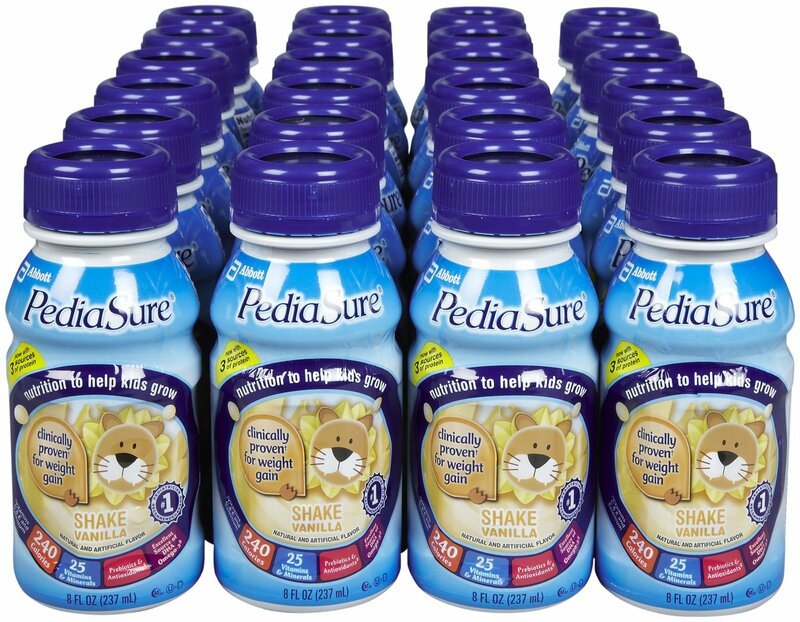 PediaSure Drinks may be used as the sole source of nutrition or as a supplement. Pedia Sure is formulated for oral feeding but may also be used to tub feed. Meets or exceeds 100% of the DRIs for protein and 25 essential vitamins and minerals for children 2 to 8 years of age in 1000 mL, and for children 9 to 13 years of age in 1500 mL. Suitable for lactose intolerance. Available in 4 flavors and in either cans or bottles.